Stem cell cure for diabetes: a reality? Diabetes is characterized by irreversible complete or partial pancreatic β cell damage. Diabetes cannot be cured but managed by insulins and oral medications. With recent advances in stem cell therapy, it may be possible to replace damaged insulin-producing cells. In this study, the therapeutic potential of human embryonic stem cell (hESC) therapy was evaluated in patients with T2DM using an 11-point numeric, Nutech functional scoring scale (NFS). hESCs were prepared from a single, spare, expendable, pre-implantation stage fertilized ovum taken during natural in vitro fertilization (IVF), cultured and maintained as per patented technology. These cell lines were injected intravenously according to the protocol. The findings were recorded as the highest possible grade (HPG), for grade 5 of NFS scale and the change in condition by at least one grade of NFS at the end of treatment. At the end of treatment period, 72.6% patients met the World Health Organization cutoff value, i.e., 6.5% of HbA1c, 65.9% achieved HPG for insulin levels, 16.3% patients required no more than two medications along with insulin and in 21.5% patients, oral medications were reduced from 5 to 1-2. Overall, 94.8% showed improvement of NFS by at least one grade and 54% patients achieved HPG. For all the 11 parameters evaluated, 54% of patients achieved HPG after treatment. In conclusion, hESCs may be a safe and effective treatment option for patients suffering from diabetes mellitus. Facial rejuvenation is a cosmetic treatment (or series of cosmetic treatments), which aims to restore a youthful appearance to the human face. Facial rejuvenation can be achieved through either surgical and/or non-surgical options. Procedures can vary in invasiveness and depth of treatment. Surgical procedures can restore facial symmetry through targeted procedures and facial restructuring and skin alterations. Non-surgical procedures can target specific depths of facial structures and treat localized facial concerns such as wrinkles, skin laxity, hyper pigmentation and scars. Surgical (invasive) facial rejuvenation procedures can include a brow lift (forehead lift), eye lift (blepharoplasty), facelift (rhytidectomy), chin lift and neck lift. Non-surgical (non-invasive) facial rejuvenation treatments can include chemical peels, neuromodulator such as dermal fillers, laser resurfacing, photo rejuvenation, radio frequency and ultrasound. A neck lift is a set of procedures to enhance the appearance of your neck. You must be in good health to get a neck lift. You must consult with us in advance. For the meeting, have your goals in mind for what you want to change. Turkey Wattle: We recommend surgery, which involves making cuts under your chin or behind your ears or both to access a neck muscle called the platysma. Sometimes, that may even mean removing some muscle. In newer procedures we make smaller cuts and use an endoscope (a small camera attached to a thin tube) to complete your surgery. We will discuss what type of anesthesia to use, depending on your level of comfort. If you want to remain asleep during the procedure, we’ll provide general anesthesia. Otherwise we can use local anesthesia with sedation. It’s up to you, however, to make that choice. Instead of surgery or in addition to it, injections can relax parts of the platysma that are responsible for the “band” appearance or look of fullness. Those injections can be done in 15 minutes on an outpatient basis, meaning no overnight stay. Liposuction: During liposuction we will make a small cut below your chin and remove excess fat. If you are also getting other procedures, it is very common for our cosmetic surgeons to begin with liposuction. You will be able to determine this with our doctor during your consultation. If this is the only procedure you’re getting, you should plan on the operation lasting up to an hour. Your incisions will be stitched and bandaged. It’s important to make sure you understand and follow our doctor’s instructions on properly caring for the stitches and bandage. Too Much Skin on Your Neck: In this method we will trim parts of the skin and lift it into place, securing it with tissue glue or stitches. This takes about two to four hours, depending on the complexity of your procedure. Again, your type of anesthesia will depend on your own personal comfort level. Our surgeon will fit you with a compression bandage that you will have to wear for at least one week unless instructed otherwise. 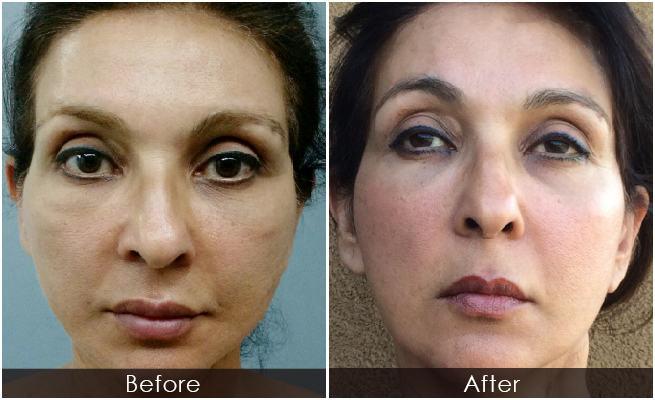 Face rejuvenation – Works miracles!! They say, “Years may wrinkle the skin,but to give up interest wrinkles the soul.” So not only feeling but looking young is no more the impossible, but depends on you!! 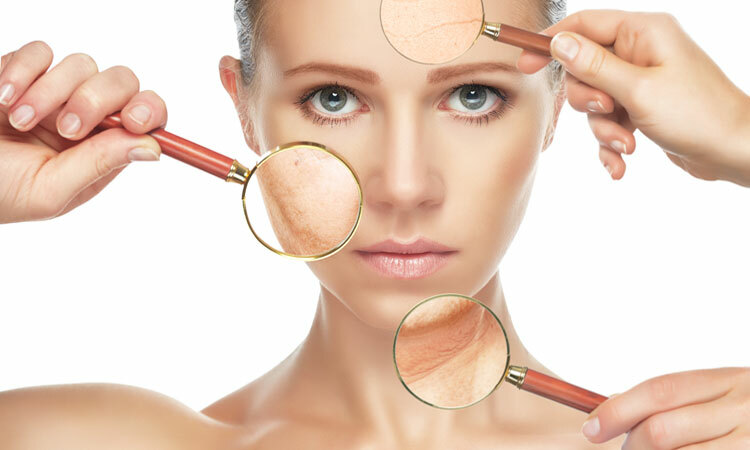 From your 40’s to 60’s dark spots, pigmentation and skin loosening tends to make your skin appear dull and lifeless. The Face rejuvenation and neck lift treatment not only leaves your skin looking healthier and younger but is even proven to be safe with minimum side effects. Over the years the delicate skin under the chin and neck area loses its elasticity , this is restored by the effects of a neck lift which provides a more toned and smoother effect. As seen above the treatment accentuates the jaw line and results in an elegant neckline and whereas the face rejuvenation works wonders in adding vitality, vibrance and youthfulness to one’s overall looks. This surgery was performed by Dr. Kiran Naik. A senior plastic surgeon from Mumbai. Autologous- A treatment for dark circles under the eyes. Solution for dark circlessurgery for dark circles in Indiatreatment for dark circles. Autologous is a procedure in which an individual’s own body fat is used to plump up sunken or emaciated areas of the face as desired. This technique is also used in removing dark circles under the eyes and is a successful techniques. The word “autologous” means the use of one’s own tissues or fat. Autologous- Treatment for puffy eyes. Fat transfer has the major advantage of allowing the surgeon to be more creative and artistic. One can sculpt the region with feathering into adjacent areas without leaving a disproportionate appearance. Fat Removal–The fat transfer procedure begins with liposuction to remove some excess fat from the donor , which could be the abdomen, buttocks, hips, thighs, etc. In order to collect as many undamaged fat cells as possible, only very low suction liposuction is used. These fat cells are removed from the donor site with a small-gauge hypodermic needle or a special cannula that designed to limit damage to the fat cells. Isolating Fat Cells– Once an adequate amount of fat has been collected, it is spun at a very high speed in a centrifuge to separate the fat cells from the liquid that is also removed by the liposuction. The damaged fat cells are removed. Only whole, undamaged and cleansed fat cells are used for the fat transfer. Re-Injection of the Fat– The fat transfer procedure is completed by injecting the fat cells into the target areas on the face. At this point, the surgeon will have already identified the area for each fat injection with the intent to correct imperfections or create new contour. Using a separate hypodermic syringe the surgeon will inject the fats at the depth needed to achieve the desire fat transfer results. Recovery and Results of Autologous– Once your fat transfer is complete, you may have slight swelling or bruising from where the fat was removed. The swelling can be expected to go away in few days, and any discomfort you feel can be controlled with pain medications. As with all the medical procedures, one should follow all the postoperative instructions from the cosmetic surgeon. A significant benefit of this treatment is that the results generally lasts much longer then the results of other dermal fillers. 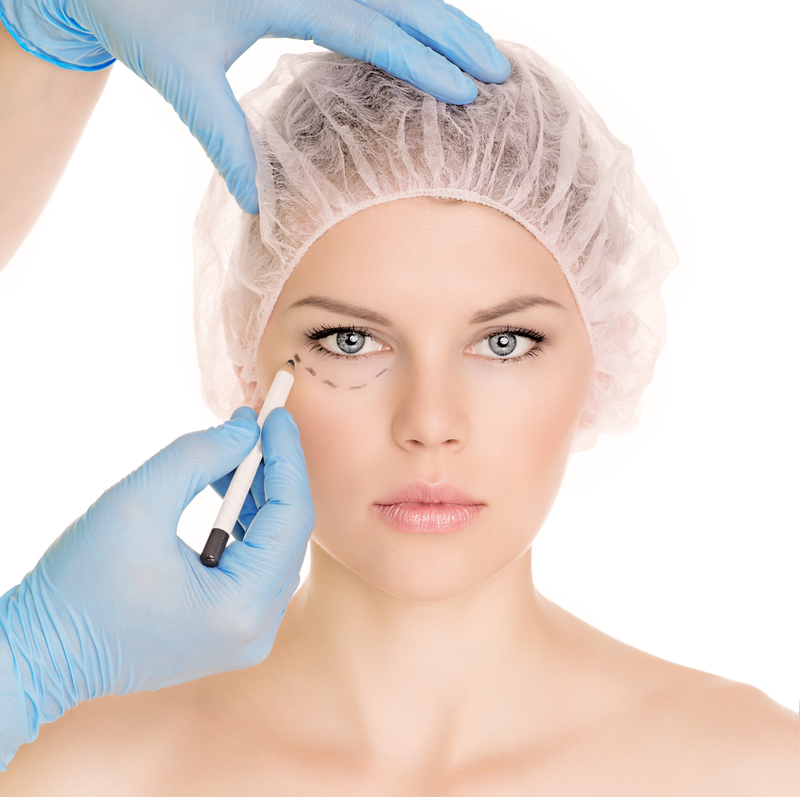 Cosmetic Surgery is a unique discipline of medicine focused on enhancing appearance through surgical and medical techniques. Cosmetic Surgery can be performed on all areas of the head, neck, breast and body, to change your looks. If you have any birth-mark or other injury, you can change it through Cosmetic surgery. The Modern world seems to come under two different groups, one of it is Physical beauty while the other part reflects on inner beauty like mind, body & Soul. Surgery can change one’s direct positive self-confidence, which can be in terms of emotional and physically well being. 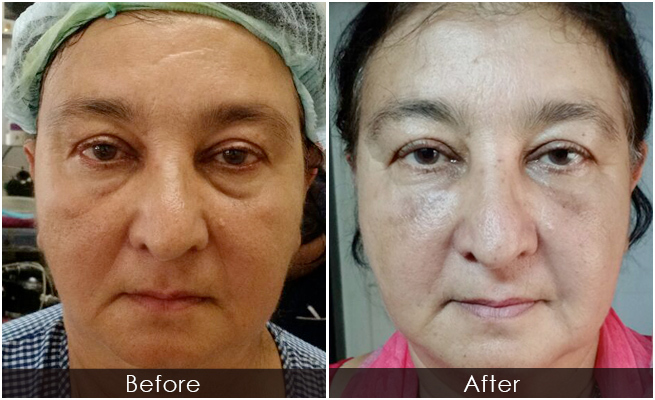 Surgery can change appearance of a person and reconstruct it in a better way. 1. Hair restoration is hair implants, hair flaps, and scalp reductions. 2. Rhinoplasty is nose job or nose reshaping. 3. Stalling of the aging process is face-lift, cosmetic eyelid surgery, brow lift, and sub-metal lipectomy for double chin. 4. Demabrasions is sanding of the face. 5. Abdominoplasty is tummy tuck. 6. Breast augmentation is breast enlargements. 7. 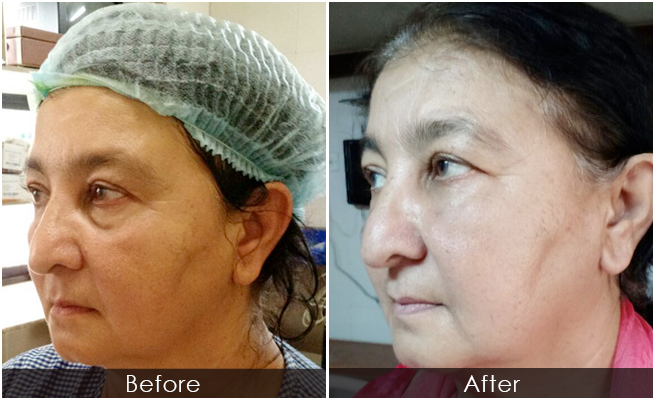 Otoplasty for protruding ears, chin and cheek enlargement, lip reductions, various types of breast surgery and reconstruction and liposuction. What bothers a cystic acne sufferer more? Is it the emotional toll caused by the painful acne lesions, or the scars left in its wake that serve as a daily reminder of the days one would rather forget soon? It’s difficult to say… This type of acne, which is painfully tender while it lasts and can cause disfigurement by forming pus-filled bumps, causes pitted indents and scars in the skin that often persist for a lifetime. Though dermatologic technology has soared with numerous treatment options, this indented scarring remains one of the most challenging and stubborn conditions to treat. But there’s one acne scar cure that can help people get rid of these lesions and that’s laser treatment. Basically, there are two types of lasers: the Repair and the Restore. The latter has been recently updated to the Restore Dual. 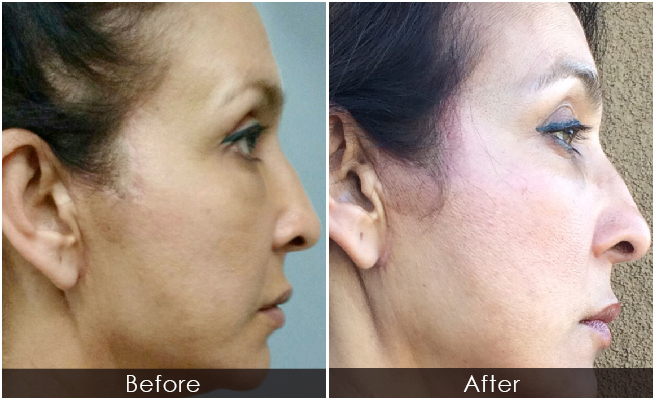 Fraxel Repair laser for acne treatment is more aggressive and needs at least one week of downtime. 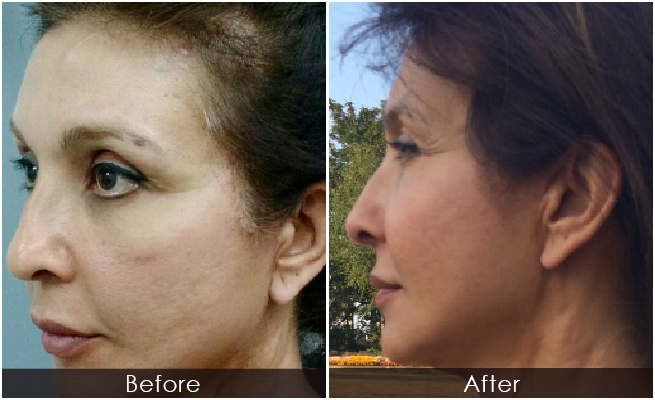 Fraxel Restore is a non-ablative laser, which means it causes no burning through the skin; but has the same accumulated impact of the ablative lasers. It works like the micro pixels of light, which penetrate through the pores and the deeper layers of the skin to stimulate the collagen-making bundles in those layers. The therapy usually comprises of a series of 5 to 7 sessions spaced about 4 weeks apart. A typical pre- and post-Fraxel protocol includes avoiding exfoliating skincare products like retinol for at least two weeks before and after each session. After care experience varies among patients depending on the strength of the laser for acne scar removal received and their skin type. Though this treatment suits all skin types, some patients may develop swelling, redness and burning sensations after the sessions. These symptoms are usually relieved after applying an ice pack. Besides this, patients will be advised to apply a healing cream, twice a day, for two weeks. They should avoid sun exposure and practice appropriate sunscreen use. What a patient can expect? This therapy causes no wound on the top layer of the skin! So, patients can apply makeup immediately after the sessions and continue with their schedule. After session one, the skin starts to feel softer; but there may not be any change in the scarring. By the end of the 3rd session, there can be a remarkable improvement in the visibility of the scars. They start fading faster! Once through with the sixth session, the scars will be hardly visible for anyone to notice. You will be thrilled to pieces with the progress! Finally, there is something that actually works! 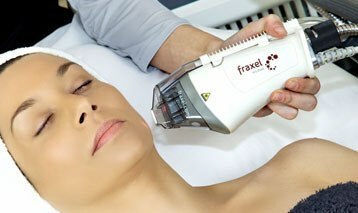 Fraxel laser helps rejuvenate the top layer of the skin, improves the texture and removes fine lines. It also helps in treating other skin problems like abnormal pigmentation, besides successfully managing cystic acne scars. This acne treatment can truly put an end to the sufferings of a cystic acne patient. LipoSonix is a device that is used to reduce waist size and permanently get rid of fat cells. The device uses focused ultrasound waves to permanently disrupt fat cells selectively in problem areas. LipoSonix eliminates fat cells without surgery and has minimal downtime or side effects. For decades, people have tried hard to selectively remove fat from problem areas using injections, belts, exercise and several other cosmetic surgery techniques. Until now, liposuction was the only way to actually remove fat from a selective area, but now there’s LipoSonix. The treatment uses a special technology known as High-Intensity Focused Ultrasound or HIFU to destroy fat cells in a safe and effective manner. Liposonix focuses the ultrasound energy 1to 2 cm under the surface of the skin. The fat cells get disrupted by the HIFU. This results in an average 4 to 5 cm (1.5-2 inch) reduction in waist size, for a 1 hour treatment. The treatment is more comfortable and there is no burn or trauma to the skin. What happens to the Fat after Treatment? The disrupted fat cells activate the body’s inflammatory as well as healing responses. Special cells known as macrophages engulf the fat as well as the cellular debris. The macrophages then transport the fat via the lymphatic and venous system to the liver. The liver then treats the fat like the fat you eat and metabolizes it normally. Who is a Good Candidate for LipoSonix? This treatment is suitable for both men and women. You must be able to pinch at least 1 inch of fat in the area of concern. A layer of fat less than 1 inch probably does not need treatment. You must also be fairly close to an ideal body weight. People with a Body Mass Index (BMI) less than 30 can be good candidates for treatment. If your BMI is more than 30, you’ll probably do better with liposuction. At present, LipoSonix is approved for use on the abdominal area and love handles. The treatment permanently disrupts fat cells in the treatment area. One session is recommended in the area and it takes around one hour. Present studies show an average reduction of 4.6 cms or 1.8 inches in waist size, after 3 months. Basically, this is one pant size. These are results from the first generation LipoSonix machine. Currently, clinical studies are underway for the second generation machine. Early reports are showing a similar or better overall reduction with the second generation machine. The side effects of LipoSonix treatment are mostly minimal. Patients undergoing treatment with the second generation machine have experienced little or no discomfort. Some patients have experienced minor swelling, redness, and bruising after treatment. The redness usually resolves within a few hours and the swelling usually subsides within a few days. Does LipoSonix help in Weight Loss? LipoSonix is NOT an ultrasound weight loss procedure. The fat cells get permanently disrupted, but the fat inside the cells is not destroyed. It is carried back to the liver and treated like the food you eat. Once it is processed by the liver, the fat is sent back out to fat cells in other body areas. Hence, LipoSonix cannot be used for weight loss. It only helps reduce a few inches in problem areas. 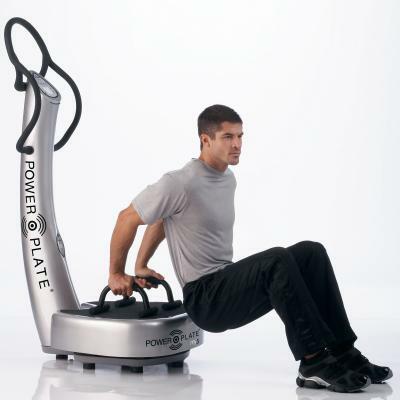 Power-Plate is an exercise machine that gives the muscles in the body a high-speed workout using vibrations. The vibrations stimulate the muscles to contract and relax. Normally, muscles contract once or twice per second, but standing on the Power-Plate vibration plate causes an automatic muscle reflex contraction of 30 to 50 contractions a second. Power-Plate exercises are a great time saver because of the effectiveness of training, and the fact that several muscle groups are activated simultaneously. It is claimed that spending ten minutes on the Power-Plate machine has the same results as 60 minutes of conventional strenuous training. Power-Plate exercises are like the microwave of fitness. Users can exercise for as little as ten minutes and still achieve an excellent workout and lose weight. Increasing the frequency gradually is the best way to train. Beginners should start with 9 minutes of the resistance program, followed by 9 minutes of the stretch, massage as well as relaxation program, on low frequency and amplitude settings. Even though everyone is different, it is usually enough to start with no more than 30 to 60 seconds on each exercise. This reduces the duration of the workout, a real bonus for people who are short of time but crave results. To develop power, strength, muscle tone and definition, it’s essential to adopt a position that exerts tension on the muscles. For instance, if you’re doing squats, bend your knees and lean from the hips, like you are about to sit on a chair. Try choosing a combination of compound exercises like push-ups and squats, which use more than 1 muscle group, and isolation exercises like front raises and bicep curls. You will get better results as well as increase potential calorie burn. The muscles will contract 30 to 50 times more quickly, consequently generating a lot of internal heat. Hence, even if you don’t feel thirsty, make sure to drink lots of water while working out. Once you’re on the machine, the beginners program involves standing in 9 different positions, each to be held for 30 seconds. You can choose the intensity of vibration stimulus on the control panel. Beginners should start off at 30 vibrations per second, gradually progressing up to 50 vibrations. Getting started is quite easy. Just stand on the machine, choose the appropriate vibration level, and position yourself in each of the 9 positions Each Power-Plate machine comes with an instructional manual, booklet as well as banner, showing visual descriptions of each of the positions for flexibility, resistance, and massage. Allow around 20 minutes for a complete workout for resistance, flexibility and massage. Although you might achieve excellent results in body tone and flexibility, you won’t find any significant improvements in the stamina of your lungs and heart. At over £ 7,000 for the top of the range Power-Plate machine, you might need to borrow these machines. However, the new personal model is priced at a more accessible £ 2,000. This is not the type of equipment that can be hidden away and brought out every time you want to use it. You will need to set aside a dedicated space at home for these machines. Is FUE Hair Transplant an Effective Option? Hair transplant has come a long way from the days of Punch Hair Transplant to FUT (Follicular Unit Hair Transplant), and the very recent FUE (Follicular Unit Extraction) technique. With the advent of FUE hair transplant, the dream of ‘no visible scarring’ on the donor area now seems possible. In FUE, grafts are extracted like individual follicular units in a two or three step technique, while the method of implantation still remains the same as in traditional FUT. The addition of the automated FUE method seeks to overcome some of the limitations in this rather new technique and it’s now possible to achieve over a thousand grafts in a single day. In FUE hair transplant, extraction of intact follicular units depends upon the principle that the area of attachment of the arrector muscle to a follicular unit is the tightest zone. After this is loosened and separated from the surrounding dermis, inferior segments can be easily extracted. Since the follicular unit is narrowest at the surface, small micro-punches of size 0.6 to 0.8 mm need to be used. Consequently, the resulting scar is too tiny to be recognized. Patients who have very short hair. When a patient specifically requests for FUE and enough grafts can be harvested to meet his/her needs. Patients with limited hair loss or patients who require small sessions. Treatment of widened scars caused due to traditional strip excisions. Patients who have inadequate laxity for strip excision. Scarring from dermatologic conditions, neurosurgical procedures or trauma. When previous scars from strip surgeries make further strips impossible. 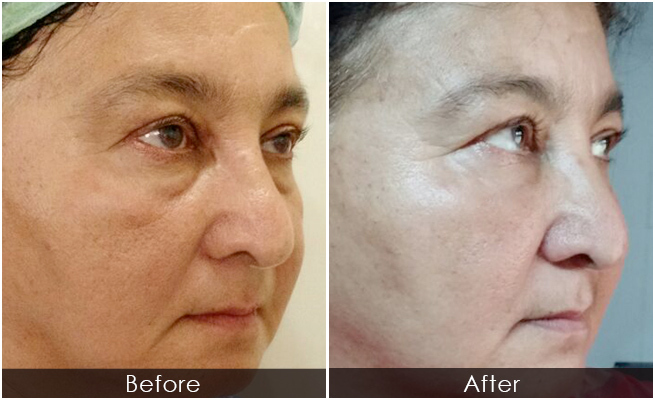 Patients who heal with wide or thickened linear scars. Athletes who need to resume full activity immediately after the procedure. Patients with an inordinate fear of scars or pain. Patients who are not willing to undergo long sessions or multiple sessions required due to the slowness of the procedure. Patients who are not willing to cut their hair short. For this reason, women are mostly not good candidates for FUE. FUE is a type of hair transplant procedure wherein the method of extraction is different, but the implantation is similar to FUT. It’s a suture-less method of hair restoration wherein hair follicles are extracted from the back of the head using special micropunches and implanted in the balding area. The procedure is performed under local anesthesia. On the day of treatment, the entire donor area is trimmed to a length of 1–2 mm. The grafts are extracted from the donor area using special micropunches of 0.8 and 1 mm. 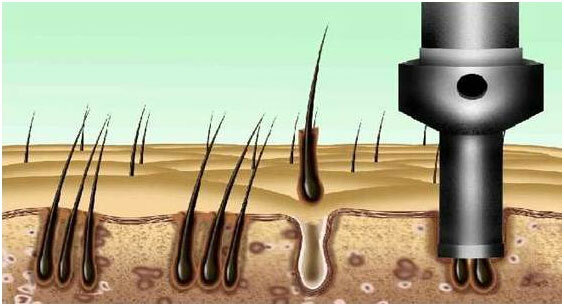 The extracted graft can consist of 1to 4 or rarely even 5 to 6 hairs. This is the most tedious and time consuming part of the entire procedure. Following extraction, the grafts are implanted in the same way as FUT. FUE is a brilliant advancement in hair loss treatments. It pushes the field of hair transplant surgery a step closer to the ultimate minimally invasive status. This treatment can serve as an important alternative to traditional hair transplant. 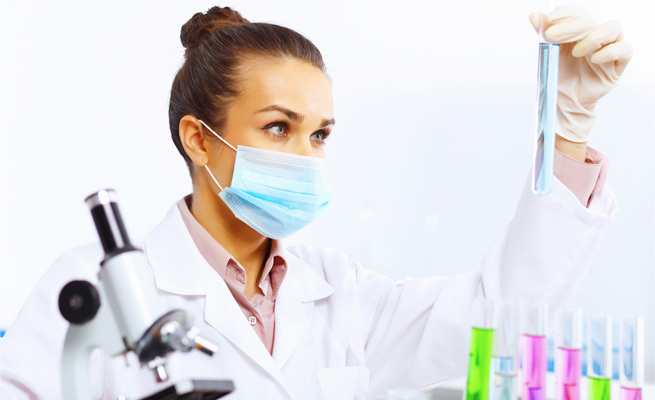 However, more research is required to render the procedure faster, cut down treatment time and improve treatment costs, so that the technique can be used by more patients. The veins in the legs have to pump the blood towards the heart against the force of gravity. They act as one-way valves to prevent the blood from flowing backwards. If this one-way valve becomes weak, the blood flows back into the vein, stagnates there and becomes congested. This congestion causes the vein to become abnormally enlarged. Such enlarged veins are called spider veins / varicose veins based on their appearance and size. Spider veins are smaller in size than varicose veins and are usually red or blue in color. They look like a spider web with their short jagged lines. Varicose veins are bluish purple in color and are slightly raised above the skin surface. They are seen as bulging veins on the back of the calves or the inside of the leg. Sclerotherapy is commonly used for both spider vein treatment and for varicose veins. In this method, a solution is injected into the vein that causes the walls of the affected vein to swell and seal shut. This helps to stop the flow of blood and turns the vein into scar tissue. Sclerotherapy does not require anesthesia and can be done in the doctor’s office. Using laser for varicose veins and spider veins is increasingly considered an effective treatment option. Laser therapy works by sending strong bursts of light onto the vein, which makes the vein fade and disappear slowly. 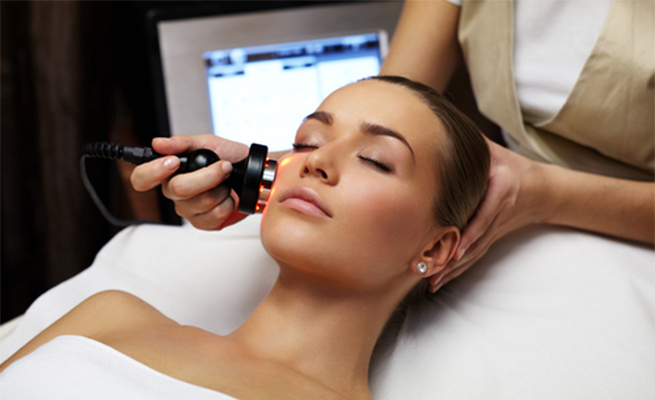 Lasers work directly and accurately and hence, do not cause damage to any area other than the one being treated. This therapy is safe and suitable for all skin types and colors. The therapy lasts for about 15 to 20 minutes. Generally, two to five treatment sessions are needed, depending on the severity of the problem. Laser for spider veins causes fewer side effects. In some patients, the skin may become red and swollen at the site of treatment. But, these symptoms disappear within a few days. Different types of lasers are used to treat spider veins and also varicose veins. Yellow light lasers, intense pulsed light systems and green light lasers are the commonly used lasers for these conditions. This method of treatment involves placing a tube or a special catheter into the affected vein. The catheter sends out radiofrequency energy that causes the vein walls to shrink and shut completely. Later, the healthier veins surrounding the affected vein restore the normal flow of blood. Slight bruising may occur at the site of procedure in some cases. Current treatments like laser for varicose veins and spider veins have a higher rate of success. Laser therapy is non invasive and helps patients avoid the discomfort of incisions and needles. Patients can return to their routine activities immediately after the treatment. The risk of side effects is also minimal. For these reasons, laser therapy is the most preferred method for treating varicose veins and spider veins. Treatments > Stem cell cure for diabetes: a reality?